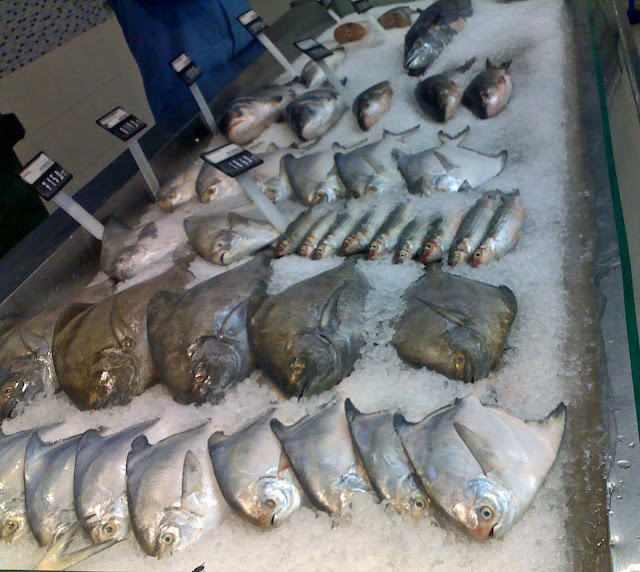 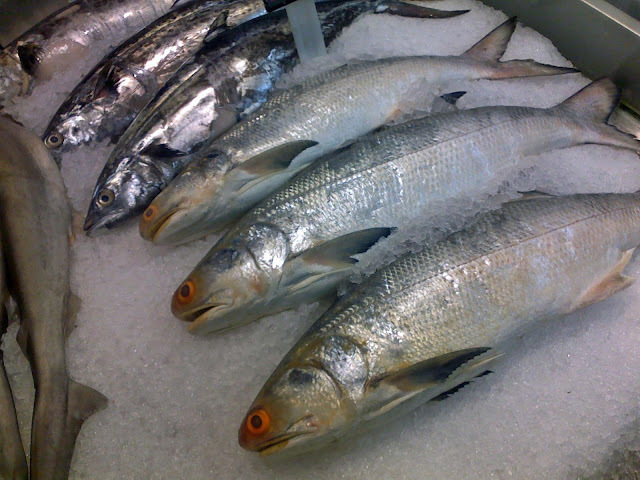 Two images of frozen fish for sale at a supermarket in India. In the first picture you will see black as well as the whilte pomfret which is a seafish. 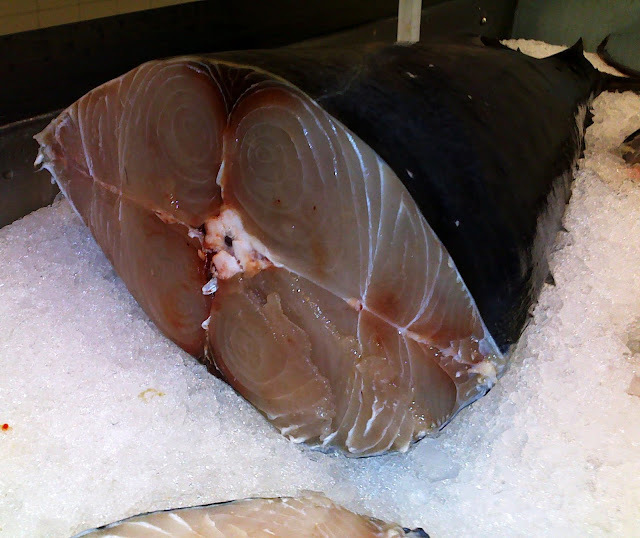 This is a cut surmai or seer fish.